as well as a variety of chalkboards, mirrors and acrylic sheets for full customization. Need a quote or have a question? Send Chels a message! Price includes artwork. Photographer Instagram handle can be customized for no additional cost. 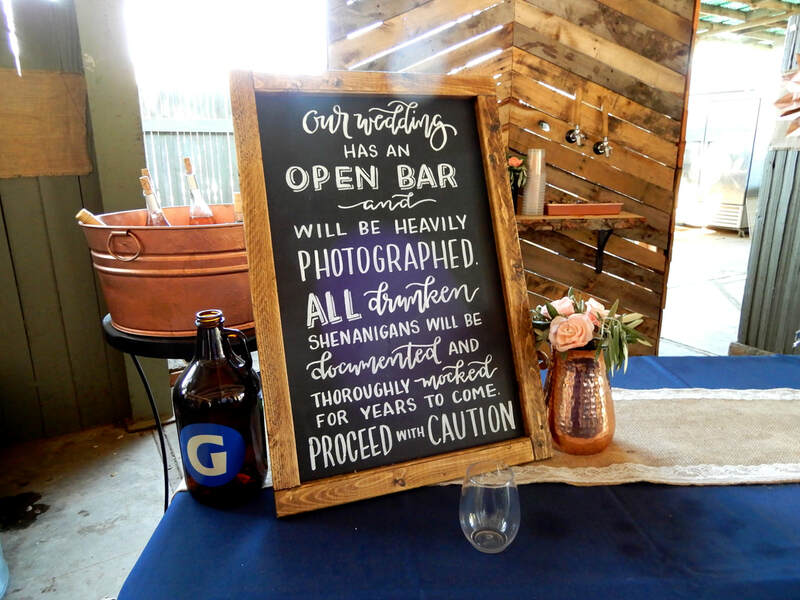 Remind your guests to keep their phones away on your special day! 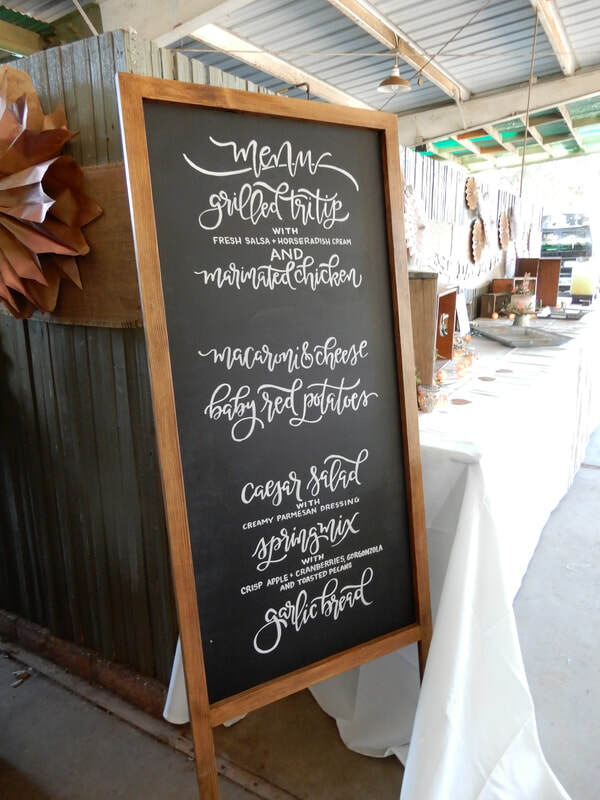 These photos feature artwork from past weddings using our chalkboards, acrylic sheets and mirrors. These boards are able to be fully customized. The rental price does not include the artwork or lettering. ​Please message Chels to check availability and get a quote! Rustic wood trim, great for dinner menus or wedding parties! 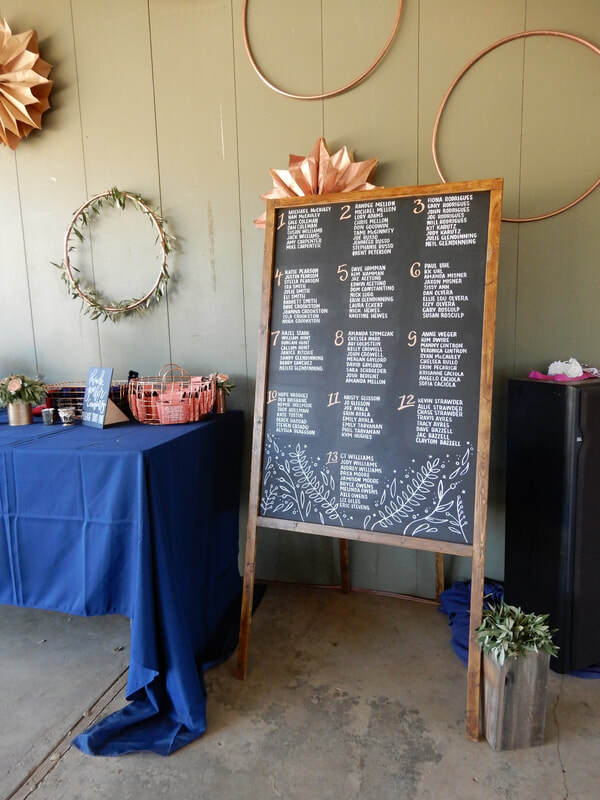 Rustic wood trim, perfect for seating charts or itineraries.